Written by: JWT Desk on October 19, 2018. Our region faces mild to mid range jolts of earthquake frequently and the recent shaking of Lahore with epicenter near Nankana Sahib indicate possibility of future seismic activity in Punjab. Earthquake of 8th October 2005 that left 75,000 dead and 3.5 million homeless reminds us of how unprepared we were as government and as masses. The earthquake not only shocked Pakistan but shook the world too, changing the whole perspective on disaster management. Realising the severity of nature’s lash disaster management shifted from simple concept of relief and rescue to resilience of governments and communities and their ability to sustain the aftermath of disasters, thus, adding in the human security perspective to the field. A comprehensive approach towards disaster management came in form of Hyogo Framework for Action 2005-2015, which emphasised the need to decrease the vulnerability by enabling people and governments to cope effectively with after math of a disaster. However, an assessment of effectiveness of Hyogo Framework for Action after ten years showed disasters continued to happen and people continued to suffer, maybe only enabling governments to handle disasters was not an excellent formula to reduce the risk. Sendai Framework for Disaster Risk Reduction (2015-2030) was presented promoting an all inclusive approach to disaster management where the word “Resilience” was the guiding theme. With focus on how well someone copes with individual or in a group trauma, disaster or a sudden crisis and how soon people can bounces back to life after a tragedy or a threat is what the world resilience means. The resilience mantra resounds in every disaster management campaign, program and now connecting resilience with growth and development in a country has became the measure of how well the disaster was managed. 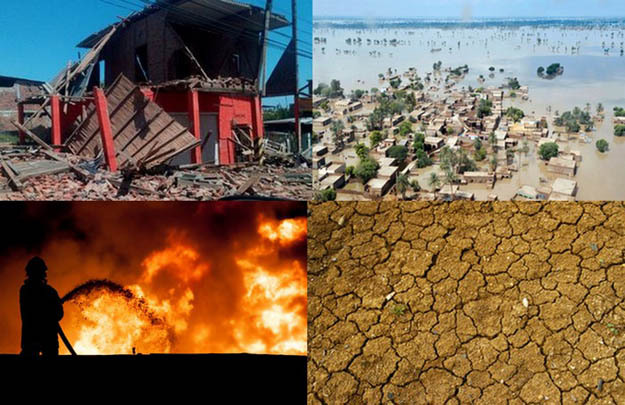 According to the Sendai frame work, to prevent people from disasters and reduce their risk is the prime responsibility of the state, therefore, state is supposed to make policies to reduce the risk of vulnerable population along with initiating international, regional, sub regional, trans-boundary and bilateral cooperation to plan and prepare for unforeseen crisis. Therefore, the central governments are now judged not only by their efforts to enhance disaster risk reduction but also with their effort to enhance regional and international cooperation for the same cause. Same is the case for national authorities, departments and stakeholders dealing with disaster management, where preparedness to cope with crisis to handle the aftermath of disasters is the key to judge their performance and utility. In simple words, today, disaster management is not judged by how good the relief work is but how well we are prepared to deal with complex web of social, psychological, economical and physical factors that arise in aftermath of any disaster. Since word “resilience” resounds not only at UN level, it’s also featured in the ‘Strengthening Urban Resilience program”, ‘Making Cities Resilient’ in UNSDR disaster risk reduction campaign, UN-Habitat City Resilience Profiling Programme (CRPP), it’s time for Pakistan to move from reactionary approach to deeper understanding of the field and adopting an all-inclusive approach to disaster management in Pakistan. Rleading to regional and then global level as disasters are not bound by boundaries nor are epidemics or pandemics curtailed by barbed wires. We have seen in past the nuclear spill caused by tsunami spreading over continents polluting oceans, diseases like bird flu isolating countries like China and economic impact of floods and tsunamis traveling across borders. Questions however to ponder are; are we ready and do we understand that increased frequency of disaster occurrence has led to donor fatigue and until unless we start building on our resilience world may not be there to help us out in future? Do we have capacity for adapting to, and surviving radically changing circumstances which not only includes natural disasters but phenomenon like economic collapse, threat of international terrorism and pandemic diseases? Reality is disasters will happen due to uncontrolled population increase, a sharp upward trend towards urbanisation, increasing climatic change and poverty in the South Asian Region, however, Pakistan needs to realistically think from macro to micro policy level that economies are resilient enough to withstand the shocks of nature. An all inclusive and central approach needs to be promoted covering livelihoods to health, survival from famines and floods to brewing health hazards like recently reported cases of dengue which if turn into pandemic would affect us globally cutting us from the world. While economically viable solutions need to be in our pocket, vital infrastructure such as hospitals, roads and communication not to mention community infrastructure such as dams need to be a priority. All this can only be achieved if disaster management is brought to forefront from its present back stage placement and seen as a security imperative for Pakistan. We not only need to strengthen institutions but a full fledge campaign is mandatory for building national resilience where we ensure that our development work does not fan natural hazards. Information and sharing expertise is the key to national resilience which will help governments and civil society prepare for and respond to disasters. Thus, training and equipping the relevant institutions with latest techniques, media as a vital partner for awareness raising among masses, along with a centralized disaster management approach is need of the time. Until unless masses are willing to change we will keep on loosing lives and receive blows to economy as we are vulnerable to natural disasters, and though it seems difficult to bring behavior change its not impossible. Seismically safe houses and reconstructed education and health facilities in earthquake affected areas speak of successful mass behaviour change where these buildings sustained shocks of over eight Richter scale in recent past and faith in human nature to adapt for better way of life. This post has been seen 1062 times.